The Thief by Ruskin Bond is a popular short story that revolves around the themes like trust, betrayal, redemption, honesty and aspirations. As the story starts we see a young boy of around fifteen is a thief, inexperienced and not so successful. Well, to pursue his career a bit ahead, he is seeking a mentor kind of person. Thus, in his search he meets Arun – a well-built man. Arun agrees to take him as his companion but doesn’t guarantee any salary. 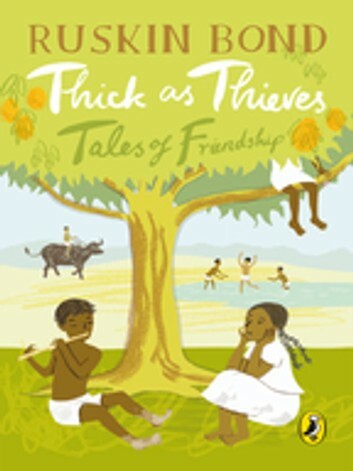 In fact, Deepak – the supposed name of the young thief – gets food and shelter for doing petty things for Arun. With no money coming, Deepak is often sullen and sad. However, Arun has promised to teach him reading and writing which can shape up the future of Deepak. This deal sparks a light of aspiration in his mind and he grows hopeful for making a good future if he learnt reading and writing. Well, after some days Deepak spies on Arun and finds out that he is into something suspicious and gets the wads of money which he keeps under the mattress. But still he is not paying him anything. So, one night when Arun is fast asleep, Deepak creeps beside his bed and runs away with a bunch of notes worth hundred rupees. His plan is to take the train for Amritsar and have fun on that money at least for a month or so. As he reaches the station, a strange feeling grips him and he doesn’t board the train. He is caught in the dilemma, should he run away and become a thief all his life, or learn reading and writing from Arun and rise to a status of eminence. His heart is saying that he must go back and put the money back. He must look for a long-term prospect in his life over a petty theft. As he starts walking down the road, rain drenches him, and money also gets wet. He is worried but determined. He goes back stealthily and put the wet money back under the mattress. In the morning, Arun greets him and hands him a wet note of five rupees saying that he has started making money, now he will give him stipend quite regularly. Deepak is happy that Arun didn’t say anything about the previous night’s theft, instead ignored his change of heart for the sake of honesty. A close look reveals that Deepak got reward for his honesty and aspirations. So, the moral of the story is that for aspirations one has to embrace honesty and moral conduct in his life. It is a good thing to note that for his aspirations to become something big in his life, Deepak give up thievery and made mind to learn skills like reading and writing.